I’m always amazed how these interest free financing offers for furniture are for a limited time because the stores always seem to be running them. Maybe the furniture stores offering 0% financing just change the length of the offer so that the current sale is actually only for a limited time. So how do you know what the best furniture financing deals are? The fact of the matter is, it doesn’t really matter how long the furniture stores with zero percent financing are offering financing on their furniture for. Why? You should never finance furniture, especially if you couldn’t pay for it in cash today. Should You Finance Furniture? NO! Furniture is a consumer good and, as you know, I am completely against consumer debt. Consumer debt allows you to buy things today even if you can’t afford them. Instead, you borrow the money from the future you and pay banks or other lenders interest for the pleasure of stealing from your future self. Financing furniture, even without paying interest, still steals from future you. Why? Every debt payment you make on that furniture is money you can’t use for something else. If you paid cash for the furniture, you wouldn’t have to make those furniture financing payments and instead could use the money for something else, like saving for your retirement. Furniture can be expensive and furniture stores like Rooms to Go know that. By dragging out the price of the furniture into monthly payments with no interest, it makes the furniture seem cheaper and might cause you to end up spending more than you had planned. Furniture stores know that if you finance over a long period of time, any discount they give would only be a few dollars a month at most. Due to that fact, they’re not going to offer discounts to try to get you to buy. Instead, they’ll waive the monthly payment in front of your face as a better way to afford the furniture. Thankfully, there are plenty of ways to pay for furniture without financing it at the furniture store. I like some of these ways better than others, but every single one is better than financing your furniture at the store on the spot. Paying cash for furniture is ideal. This way, you know you can afford to make the purchase or at least you won’t go into debt for it. What’s even better is you no longer have to search for the best place to finance furniture. While I say cash, you can pay by check or even by credit card as long as you have the money in the bank to pay your purchase off in full as soon as you get the statement. It may seem impossible to pay for your furniture with cash, but it’s not. It just takes some dedication to save for what you want. There is a super easy way to make this happen, even if you’re not good at saving money. First, you need to open up an online savings account so it’s harder to get to the money quickly. This will prevent you from dipping into your savings account at the first sign of temptation. You can do this at CIT Bank. The online savings account will still be easily accessible, it will just take a day or two to transfer the money to your checking account rather than the instant transfer at your current bank. Once you have your online savings account open, set up a recurring transfer from your checking account to your new savings account. Another way to do this is by setting up a payroll deduction at work to deposit a set amount of each check to the savings account. Either way, the goal is to make your savings transfer automatic so you can’t stop it without some serious legwork. Again, it will prevent you from the temptation of raiding your savings for impulse purchases. Once your savings account hits the target amount, you can head to the furniture store and start shopping for the furniture you want. Other than the fact you won’t go into debt, paying for furniture without using furniture store financing helps you because it allows you to have the upper hand at furniture stores that negotiate price. If you let furniture stores know you need their financing to complete the transaction, they’re less likely to negotiate on the price because if you’re approved for their financing, you can make the purchase at full price. However, if you hold the cards and say all I can afford is “whatever amount your determine” and I’m not taking out debt to make the purchase, salespeople may be willing to give you a slight discount to make the sale. After all, many salespeople work on commission and a smaller commission from a reduced price is better than no commission at all in many cases. You can automatically get a discount when paying for furniture in cash by using your credit card. If you have a cash back credit card, you earn cash back on your purchase of usually at least 2%. If you want to make even more, consider signing up for a sign up bonus credit card and use the furniture purchase to meet the minimum spending requirements. You could easily make $500 this way. For instance, the Capital One Venture Rewards credit card offers a 50,000 miles sign up bonus for spending $3,000 in the first three months of card membership. You can use those 50,000 points for a $500 travel statement credit. You won’t have to pay an annual fee the first year, but a $95 annual fee applies each year after the first. 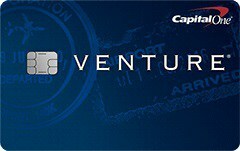 You can apply for the Capital One Venture Rewards credit card here. Just make sure you pay the furniture off in full when your first statement comes. If you’re going to finance furniture, and I recommend you don’t, at least do it in smarter fashion. Furniture store financing spreads out payments over years and gives the furniture store the upper hand. If you need to pay for your furniture over 36, 48 or even 60 months, don’t even bother. You can’t afford it. However, if you’ve got some money in the bank or you can afford larger payments, financing furniture using a credit card with 0% promotional interest rate on purchases is a better deal than financing for years at the furniture stores. It still isn’t smart to finance furniture, even using this method, but it’s better than using multi-year furniture store financing. Most credit cards that offer a 0% promotional interest rate on purchases only offer the period for a few months to as long as a year and a half. 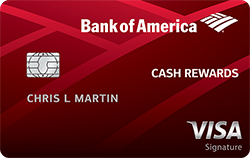 For instance, the Bank of America Cash Rewards Credit Card offers 0% intro APR on purchases for 12 billing cycles. Additionally, you can earn a $200 cash rewards bonus after you spend at least $500 on purchases within the first 90 days of account opening. If you use this method, you absolutely must pay off the purchases in full before the promotional period expires or you’ll easily pay double digit interest rates on any remaining balance. You’ll also need to make sure you never make a late payment or default in any other way or else your promotional interest rate could expire. If you head into a furniture store with the credit card in hand, already approved, you have the upper hand in any negotiations. Before you head in to the store, calculate how much you need to pay each month to pay off the furniture you want. Make absolutely sure you can pay it off before the promotional 0% rate expires. Ideally, make sure you can make double the monthly payment necessary to pay the debt off just to be safe. However, you need to pay the credit card off as fast as you possibly can. Make triple or quadruple the necessary payment to pay the card off before the promotional period expires, if possible. Don’t wait one day longer than you have to. Finally, if you want to pay for your furniture purchase in cash but just don’t have the money available, simply skip the purchase for now. The furniture stores will be there next month, next quarter and even next year. Take this time to save up for the furniture you want. If you really want it, saving should be easy. Make your furniture savings the number one priority in your budget and make it happen. But Can’t You Make Money With 0% Interest Offers? Some people may argue you can make money by buying furniture with a 0% interest offer. In some ways, they’re right. It is technically possible, but the risk is worth more than the reward in most cases. Here’s how it works. You have the cash in the bank to pay for your furniture, but instead you take out a 0% interest loan or promotional credit card offer, like the Bank of America Cash Rewards credit card. You leave the cash in a savings account earning interest or use the cash to make money in other ways while you pay your 0% interest loan off as slow as allowed. Over the life of the loan, you’ll get to keep the interest or other earnings on the money that you would have spent on furniture if you paid cash and you get the furniture for the same price. Unfortunately, it takes a lot of self discipline and a bit of luck to make it come out in your favor, that’s why I don’t recommend using 0% interest offers to make money through arbitrage. One slip up and you’re out the cash to pay for the furniture and you still have to make the monthly payments each and every month. First off, if you miss a payment on your no interest furniture loan, you’re likely going to pay a very pretty penny. Your interest rate will likely spike from 0% to 20% or more. In some cases, that interest rate could be applied retroactively to when you purchased the furniture. It’s a very expensive mistake to make. Does Financing Furniture Hurt Your Credit? If that isn’t bad enough, buying furniture on a 0% promo could potentially hurt your credit score. Having your credit limit match your purchase is bad because your credit utilization on that particular debt will be 100% or essentially maxed out. Credit utilization makes up about 30% of your credit score. It’d stink to have your credit score drop if you’re just trying to use arbitrage to earn a few bucks in interest. I’d hate for a 0% furniture loan to end up causing you to have a higher interest rate on a future mortgage. That’d cost you thousands, if not tens of thousands of dollars while you’ll only save a small amount on your furniture arbitrage. So how else can you get furniture if you don’t have the money to pay for new furniture in cash and you’ve smartly decided not to finance your furniture purchase? Take a look on craigslist or Facebook Marketplace to try to find a piece of furniture that fits your style. If you do a bit of research to make sure you’re buying quality furniture, you could easily save hundreds or thousands off what the original owner paid at the furniture store. Yes, it might have some scratches or other blemishes, but that’s just fine. You would have ended up damaging it in some way anyhow and now you don’t have to worry about it because someone else already scratched it for you. To top it off, you ended up saving money and didn’t end up in debt. Honestly, if you can find the right pieces of furniture, buying used is even better than buying furniture at a new furniture store even if you can afford to buy new. I want to know about your furniture adventures. Have you ever gotten a cash discount at the furniture store? Have you ever scored an amazing deal on craigslist or a yard sale? I’d love to hear about it in the comments below! « Should You Use Budget Billing For Your Utilities? Yes, I realize this is old. Going from one extreme, as in living beyond your means to living below your means doesn’t help the economy much, but I suppose one will always have cash in hand for an emergency. When I was younger, I fell prey to debt like a lot of young people did. It took a while to wise up, but I try not to carry any credit card debt, and only carry an auto loan and mortgage, along with some old student loans I’m still paying off. What some people seem to not care about, others do, however. I like to have a nice home and if I did need to finance a few pieces of furniture, I might, because that’s important to me. It may not be to you, but it is to me. Everyone going willy nilly and running up credit cards on frivolous purchases is where I draw the line. I work hard and I will enjoy my life, without going into debt, but I will use what I have, since in the end, I cant take it with me either. It’s definitely a personal decision. However, you can still have a nice house by purchasing quality used furniture on Facebook marketplace and craigslist, too. 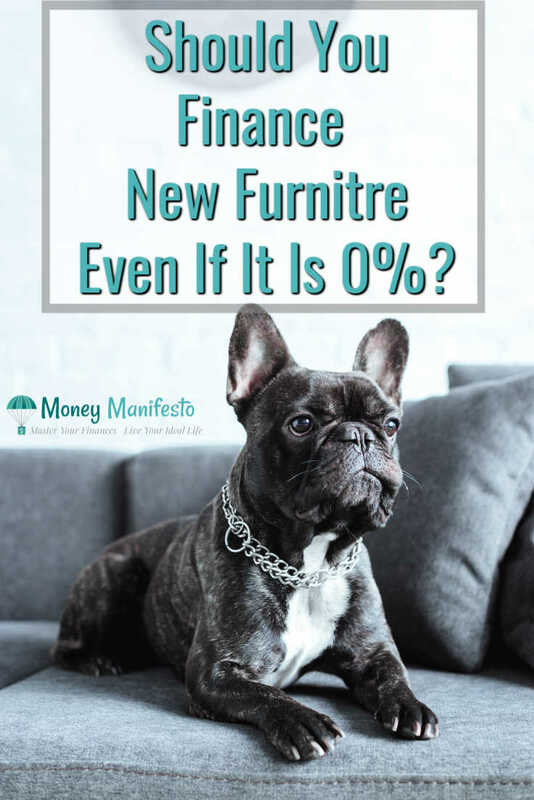 As long as you’re smart enough to divide the total cost by the amount of months allowed by the financing, and can therefore do a simple budget to find out if you have enough to make that payment every month, and are certain you will make that payment every month, there is nothing wrong with financing furniture. If however, you know you are consistentenly living beyond your means, walk the other way until you have enough in cash. We’ve financed furnature, lawn and garden equipment and more probably 4 or 5 times in the past 10 years. We’ve never paid one penny in interest. In fact, we usually pay it off months early. You need to stop hollering “pay cash or nothing!” seriously man. Tone down the chastising preaching. If you really want to help people, you should teach others about how financing works and how to do it right. If you can manage to lower yourself down to our level. How does one know where living beyond their means starts? If you can’t pay cash today, you aren’t living within your current means and are borrowing from your future. While I totally agree that financing furniture at 0 percent can work and people can budget for it and pay it off without paying a penny in interest, what happens when something goes wrong. When you lose your job, get disabled or have something else happen that takes away the income you planned to use to pay off the furniture? You can no longer afford it. I want to help people live within their means. They can choose what they determine their means are, but to me it is living within the cash you have today when it comes to consumer good like furniture. As far as teaching people how financing works, I share plenty on that topic and about the dangers of paying high interest rates on debt. If you make a late payment, you can sure bet that 0% financing rate is going to pop up higher. I had to purchase a new sofa a few years ago- gave mine to my son for his first home. I purchased my sofa at Pier 1 Imports using their credit plan because if I put the purchase on their credit card, I got $200 in free merchandise. I used that $200 to purchase my Christmas gifts that year and paid the sofa off a couple weeks after purchasing it paying no interest but getting $200. I also purchased the sofa on sale so I feel I got a great deal. I don’t worry about my credit score because I don’t plan to get a loan for anything major like house or car which are already paid for. I had the cash to pay for the sofa but why not take the $200 they were offering. I just purchased a high end coffee table at a thrift store for $45. It is in perfect shape and probably sold for $445 when new. I have also used the 0% furniture store plan when we purchased our first home 25 years ago. I purchased a high-end dining room set. Again, I had the cash to pay on the spot but wanted to keep that cash in case we ran into some issues with the house which luckily we didn’t so I was able to pay it off long before any interest kicked in and by the way we still have that dining set and it is still in excellent condition. So , I have used a combination of ways to make my furniture purchases but the important thing is to never pay interest. Do what works best for you and your family. Make your home a comfortable place where your family can de-stress and enjoy life. Avoiding interest is definitely a big key. Personally, I love the idea of living below your means, too. Good article and perspectives from the Respondents. I like to consider many perspectives and make a decision that’s good for me. I don’t know about calling people “suckers” however. As you admitted, there are those very few who can use the 0% responsibly. Obviously they are not suckers. You know Lance I was just thinking about getting a new living room set on one of those 0% deals, but you reminded me of the timeless financial wisdom that 1) consumer debt is stupid and generally irresponsible, and 2) don’t borrow money for consumer goods you cant pay cash for today. Everyone else’s argument here amounts to “oh just make your payments on time and you’ll be fine”, but they are missing the point. I’ve often bought furniture at 0% interest and paid it off early. I could pay cash, but why take it out of an interest earning savings account. Alternatively I pay for big ticket items with airline credit card to earn miles, and I pay it off at end of month to avoid paying interest. I’ve traveled all over the world using miles, can’t remember last time I paid airfare. My credit score is excellent. I refinanced mortgage about 14 months ago at 2.24% so buying on credit has had no negative impact whatsoever. It just takes discipline to pump cash into interest earning accounts and pay off credit accounts to avoid paying interest. If you buy wisely on credit, avoid interest payments by paying off, banks pay you off with rewards. I think there is a very small percentage of people (less than 5%) that can handle 0% interest furniture loans. You sound like you’re one of them. Sadly, the great majority don’t have the same financial restraint you do. Interesting read. I think if you cannot afford it, then don’t buy it. However, I am not opposed to leveraging credit. I have purchased furniture before using 0% financing and it was fine. We bought $500 worth of furniture and paid it off in 3 months (had 12 months). We had money in the bank, but didn’t want to part with the cash right away. We didn’t pay any interest and we couldn’t “negotiate” a lower price by paying cash (large chain store). I can certainly relate to the author’s perspective and would agree it’s good general advice, but it’s been my experience that a lot of decisions like this are made with very little research by the individual in relation to their own personal experience. Example, while I agree with the author’s general advice, I do in fact have a Nebraska Furniture Mart card with 0% interest that I use; however with perhaps a different approach. SO, here’s an example from the last month of something I bought this way. There were two clearance curios I wanted. The “Real” retail price is around $2,300 each and they are clearance sale priced online for around $1,700 and (there can be different clearance prices online and in person too!) and these two hit the clearance floor at my store for $999 each. I have been watching them for a while now and they kept going down. First $700 then $600. Today I got a call from my sales guy and they just got marked down to $350 each! I asked for another $100 off to buy both and got $60 more off. So, if I bought these off the showroom floor brand spanking new they would have been $4,600 for the pair and they would have been very happy to sell them to me. Instead I kept my eyes open, accepted that I might not ever get them and waited and ended up paying $640 for BOTH of them plus tax! Not every single deal is this dramatic, but for me most have been. I did recently buy a $2,000+ custom ordered high end table that the customer refused so it went to clearance for $560, but I REALLY loved the table and stand by that purchase! LOL The chairs are from a different custom order gone wrong and they were freakin’ $1,500 EACH new!?!?!? Who pays this for dinner table chairs?!?! I got them for $260 each, so really proud of that purchase and it takes some of the sting out of only getting 75% off the table! So, my opinion is that like most things you get out of a situation what you invest. I think 0% financing can be a great tool, but so is fire… you just have to know how to not get burned.. Sounds like you have put a lot of thought into it, but if you can’t pay $500 out of your checking or savings account then the person is probably living beyond their means and probably hasn’t saved much for retirement either. Using 0% financing to buy something you can’t afford today is generally accepted as living beyond your means. This article is common sense. Of course if you miss a payments, your credit score will take a hit. Of course if you don’t meet the terms of the financing, you know, like paying your bill, the interest rate will kick in. 0% financing is a no brainer if you have a lick of sense and fiscal responsibility. 0% financing is a big trap to allow people to spend more than they have available today. If you can’t pay cash, you shouldn’t take 0% financing for a want. Also, if you could have negotiated a 10% discount rather than 0% financing, that could be better in most cases. I found this article very one sided. I own my home and my car and I always make my payments on time. Most banks offer automatic bill pay so you don’t even have to think about it. The issue I have with buying used furniture is you don’t know how the previous people used it. I’m not interested in potentially sitting in someone’s bodily fluids whether it be from vomit to remnants of sexual activities. Even shampooing furniture doesn’t guarantee removal of all this. I’ll take the couple points ding on my credit score for the new furniture. Even if you want to buy new furniture, pay cash. You’ll get a better price as you’ll have more negotiating power. When buying a new house, these deals are second to none. There’s nothing difficult about making a payment properly every month. If you’re taking on a new $2800 per month payment and you can’t handle making another $125 payment consistently, then you probably have a lot more to worry about than a few hundred dollars in back interest. It is much more preferable to be able to buy all the furniture for your new home in one place at the same time than having to coordinate buying a few dozen pieces of used furniture and decorative pieces separately from Craig’s list. Furthermore, I wouldn’t want my kid sitting on some stranger’s couch who could have used the couch in a dozen unscrupulous ways. All for what? To save $1000? Make your monthly payments properly, for god’s sake, and take the free loan to buy some good quality furniture that doesn’t have someone else’s history inside the fabric. I think you missed the point I was trying to make. Actually, I think I addressed each of your points in a single, succinct paragraph. Additionally, unless your only form of credit is the furniture loan (does this even go on the trade lines as revolving credit?) your utilization won’t be near 100%. And to add to the scenario I laid out in my first post, your credit is already hit pretty hard with a brand new mortgage what with a couple hard pulls and 100s of thousands of “new credit”. By the time your credit score recovers from the mortgage, your furniture loan has become another account that is paid as agreed and nearly paid off on your credit report. So it ends up helping your score by diversifying your report and having another account on file that’s paid as agreed. If you pay your bills properly, these deals are nothing short of great. If you can’t pay your bills properly, then steer clear of these deals. we just bought a house a few months ago and all of our furniture is from Craigslist. I’m looking at buying a new bedroom set and a possibly a couch. if you can’t make payments on time then don’t buy nice things. Sounds like you’re furnishing your house at a deep discount. Congrats! Good stuff! Another reason not to take these furniture offers is that if you go past the 48 month 0% time period and still have a balance they charge you all of the interest back retroactively. That’s a huge finance charge all at once. Many furniture offers do this and you’ll end up with a massive interest bill if you go over the time period. Chances are the interest rate is pretty high too. We won’t be buying any more furniture until our youngest turns 6. They have already torn up so much stuff so it’d be a complete waste to get anything nice. But we certainly planned to pay with cash, now I will know to ask for a discount. Thanks for the tip! Crap! I bought all my furniture on this deal years ago! Oh, well 🙂 Fortunately I know how to handle purchases like this and know well, well in advance when I need to have it paid off so that I never pay a lick of money in interest. Even though I agree with the warning, I should also state that our credit score has been fine. You were probably in pretty good shape with everything else. Unfortunately not everyone else is. Lance – nice insights on buying furniture with this post. Most of this I didn’t know. I never thought about the 0% marketing tactic used to just get you to buy the furniture. Are there any tactics that a consumer can use when buying new furniture from a furniture store to lower the price? or would you recommend just avoiding furniture stores all-together? I would always ask for a discount, do some research online and be prepared to pay with cash if you want to buy from a store. Honestly, you’ll probably get the best deals buying used quality furniture not the cheap stuff from the stores. I’ve written about our eclectic collection of furniture in the past. We have dressers that are probably 40 years old mixed in with quite a bit of garage sale furniture. Our most recent furniture purchase was a master bedroom set that we bought 15 years ago. It still looks the same as it did when we bought it. I doubt we will be buying any new furniture anytime soon. Hear! Hear! I love our dining room table. Cost us $20, 7 years ago. We’re not afraid of it being damaged by the kids, it’s sturdy, and we can eat on it. It’s a huge symbol of our frugality. That’s awesome that you got such a great deal on your table! Sounds like it will last for many more years to come.